Scroggins Aviation crews working on our A320 for an upcoming film next year. All finished and ready to ship it now. Sorry we can’t say what film or where it is going. Mum is the word. 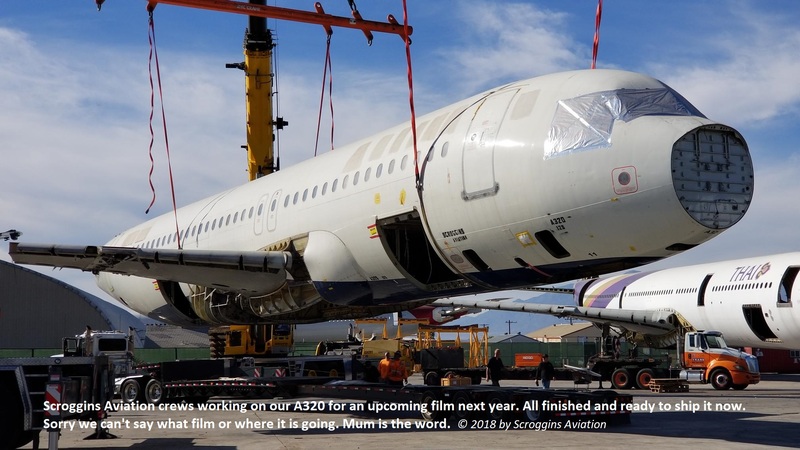 Check back for updates on the A320.